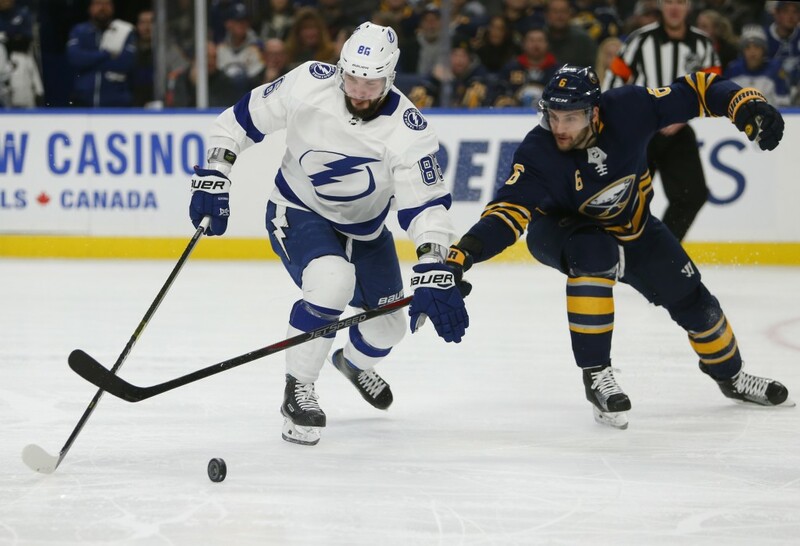 BUFFALO, N.Y. (AP) — Steven Stamkos scored the tiebreaking goal with 5:16 remaining to lead the Tampa Bay Lightning to a 5-3 win over the Buffalo Sabres on Saturday night. 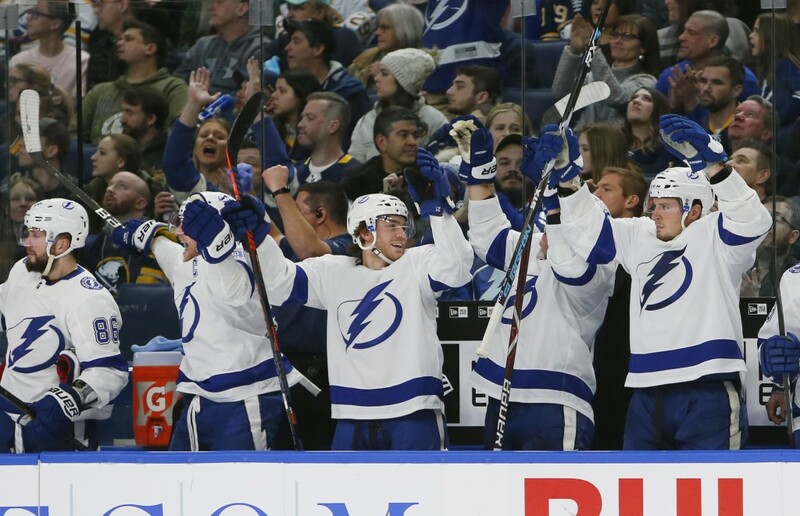 Nikita Kucherov, Brayden Point, Ondrej Palat and Ryan Callahan also scored for the Lightning, who have won 18 of their last 20. 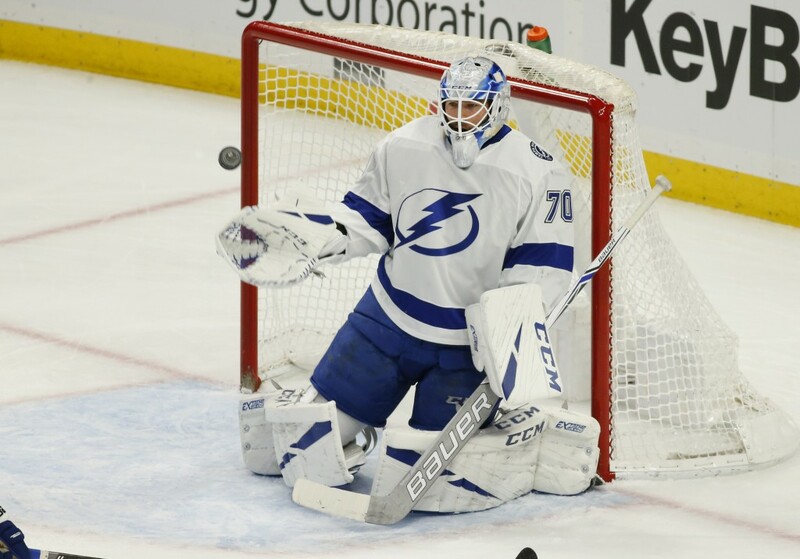 Louis Domingue stopped 30 shots. 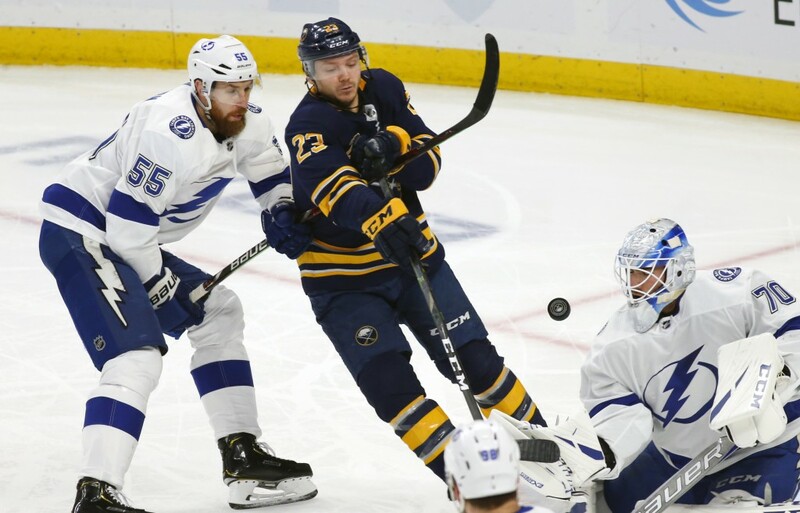 Sam Reinhart, Tage Thompson and Marco Scandella had the goals for Buffalo, which lost for the second straight night. 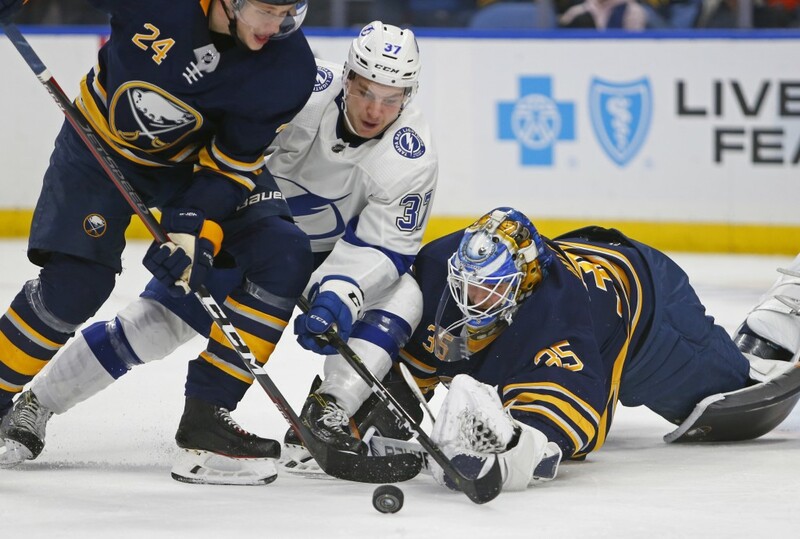 Linus Ullmark finished with 25 saves. 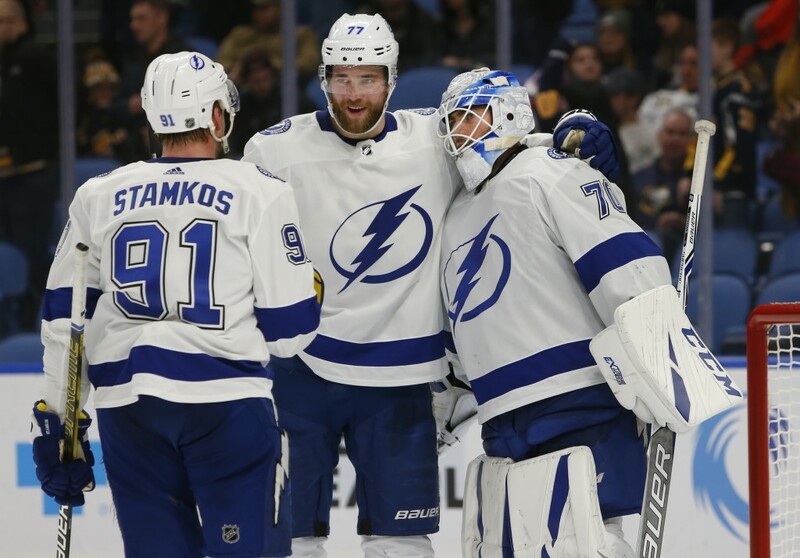 Stamkos then put Tampa Bay ahead for good late, taking a drop pass from Kucherov and firing a hard shot to Ullmark's blocker side. 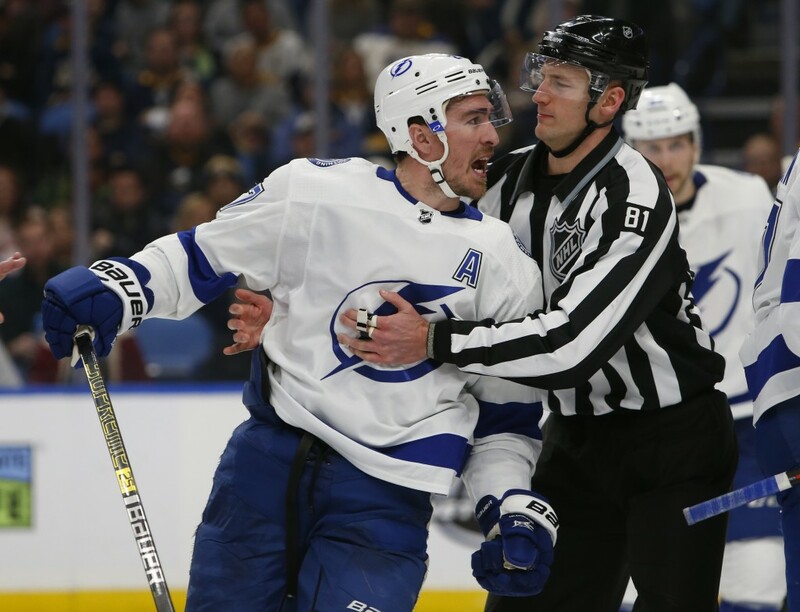 Callahan then added some insurance with 1:19 remaining to make it 5-3. Point opened the scoring just 26 seconds into the game. 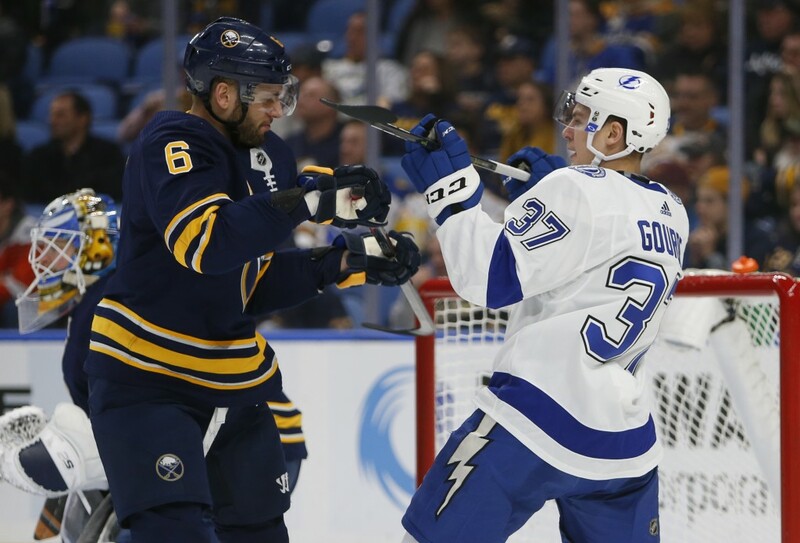 After a faceoff win in the Buffalo zone, Point buried a rebound for his 29th. 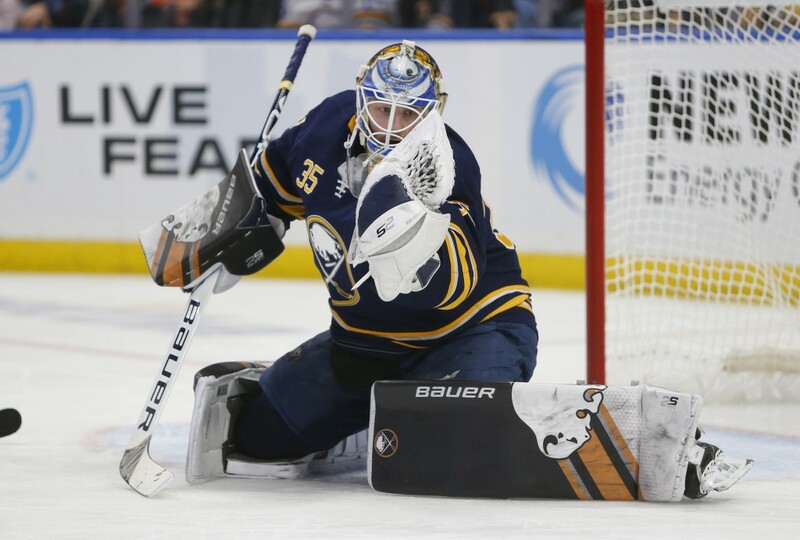 Reinhart evened the score five minutes later after a Buffalo power play expired. 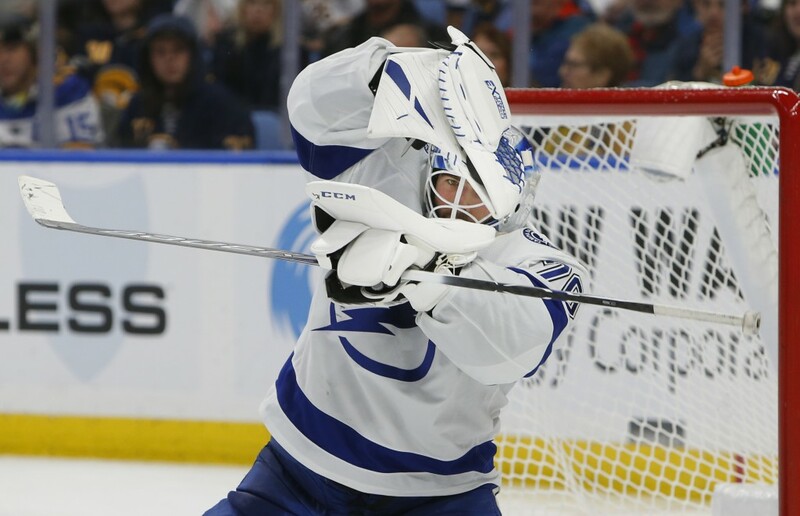 Reinhart put a move on Stamkos in the high slot and placed a wrist shot high to the glove side for his 10th. 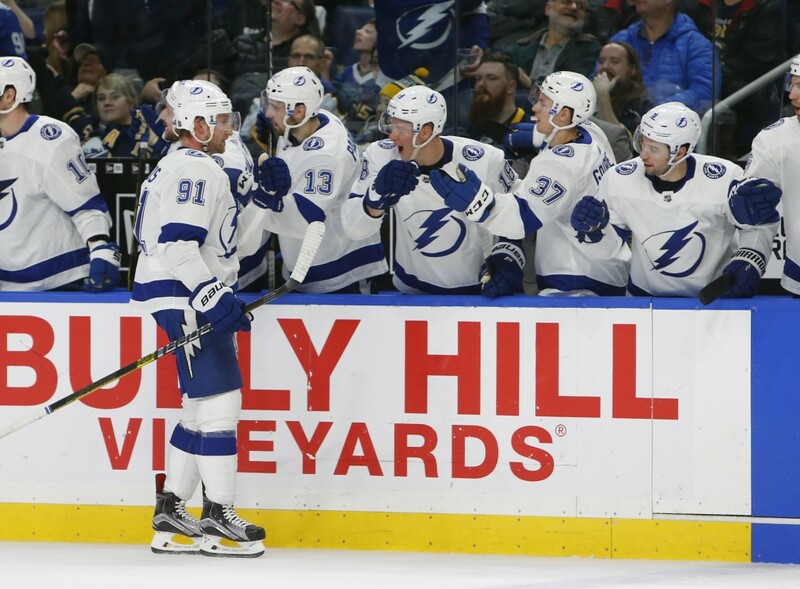 Palat evened the score at 2-2 on a spectacular play by Tampa Bay defenseman Mikhail Sergachev. Sergachev raced to the right, placing a perfect backhand pass to Palat in the slot and Palat's smooth one-timer went in for his sixth.